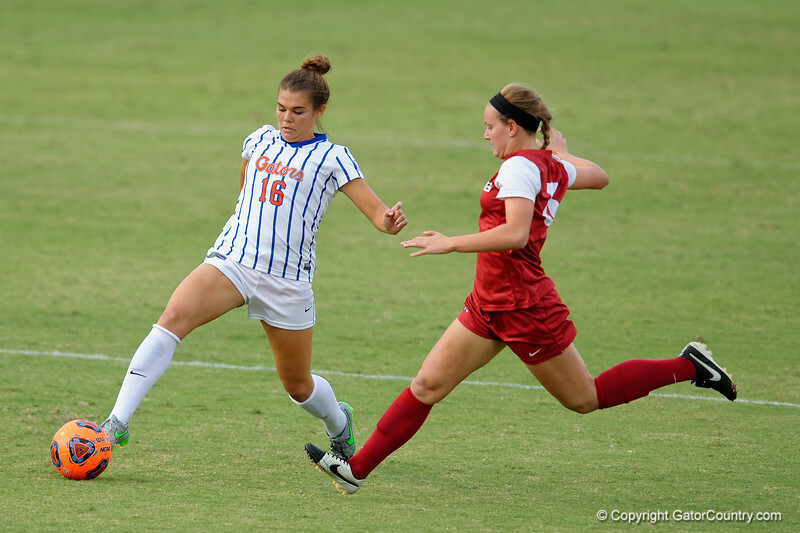 The #3 ranked Florida Gators hosted the Arkansas Razorbacks and on Senior Day, gave the 2015 seniors a 4-0 win during their final home game of their career. Florida Gators soccer midfielder Liz Slattery dribbles down field as the Florida Gators soccer team wins their final home game of the season with a 4-0 win over the Arkansas Razorbacks. October 25th, 2015. Gator Country photo by David Bowie.